When American roads were first being built, they often used concrete. In 1870 the first American asphalt road was paved in Newark, New Jersey. Today, around 30% of America’s interstate highways are still paved with concrete, and often some road fixtures and bases are concrete. Speed bumps made out of concrete are quite common, for example. But you’ll notice the vast majority of modern American roads (94%) are paved with asphalt. Why? The benefits make sense when they’re laid out for you. Asphalt creates a smooth, safe surface for car tires to grip. Sealcoating adds an additional layer of protection, as it repels potentially damaging water and dirt from the asphalt itself. Asphalt is surprisingly environmentally friendly. A Swiss study concluded that vehicles driving on smoother roads (like asphalt; see heading #1) use 10% less fuel than those driving on rough roads, so cars need to fuel up less often. Asphalt is also a recycling superstar. Old materials like shingles and tires that are difficult to reuse or recycle can be repurposed as part of asphalt mix. It’s very reusable; the asphalt paving industry reuses about 100 million tons of asphalt every year, making asphalt the most recycled material in the United States. 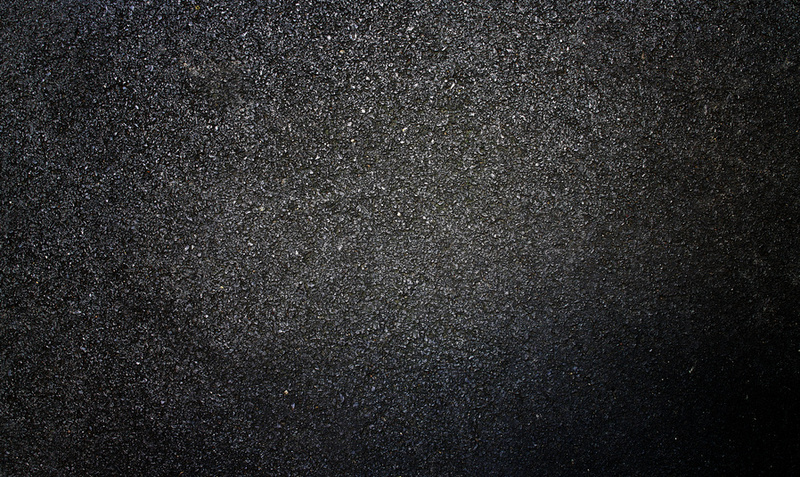 Asphalt has a long lifespan and typically requires little maintenance after sealcoating. Because of this, it costs taxpayers less money to fix every year. While concrete requires even less maintenance, asphalt is often the go-to because of its low start-cost. Repaving or installing asphalt roads can be done one lane at a time, leaving half of the road open for travelers to continue on their routes for the day. Asphalt laying and sealcoating is also a fairly quick process, able to be done in a single day or night to minimize disruptions to local businesses and homes affected by traffic. You drive over it every day, but the material your streets are made out of matters to you more than you might believe. Think about how much saved money and convenience pavement companies and materials scientists are trying to save you by using the best paving practices!